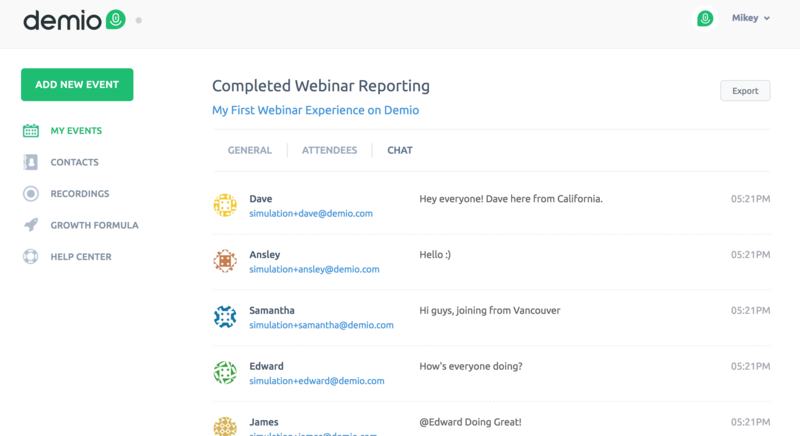 You can download a transcript of the chat log from a past webinar within seconds using Demio's past event reporting. First, go to the past event that you want the chat log from and click on the "REPORTS" button. 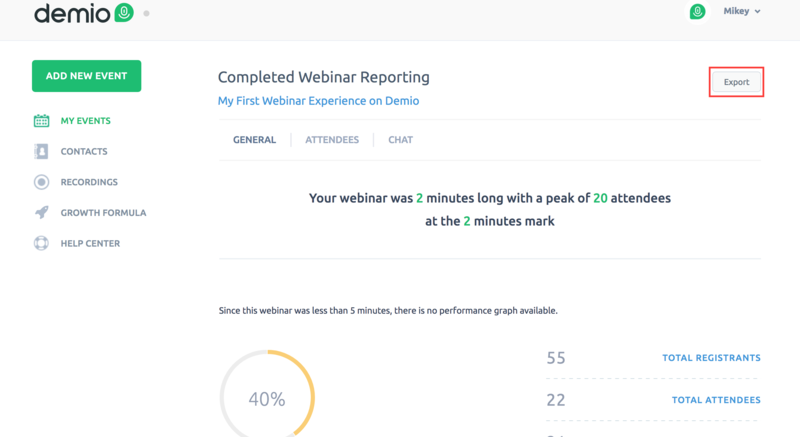 Then you'll notice a button in the top right that says "Export"
Click that and it will automatically download a .CSV of your webinar analytics, which includes a log of all of the chats sent by attendees during the webinar! To export the chat messages from your attendees in a CSV, you can select the Export button and select "Attendees" & "Chat messages"